← How do you consume news? The reason for this pic? Most of the time, I have seen discussions on mobile service provider revolving around speed. Oh you get 2Mbps? Dude, this one gives you 8Mbps and so on. Well, I took my first connection in 2003 in Delhi. 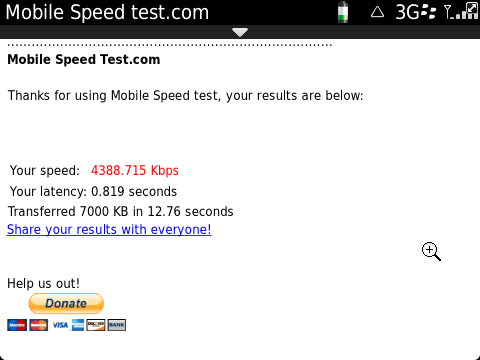 Then, Airtel had the best network and supposedly the best plans. I moved to Jaipur and there also, Airtel was having the best network. I shifted to Pune in 2006 and then I had a serious re-think on my service provider. To say that Airtel was flaky would be an understatement. The point was, by the time I realised that I seriously need to move away from Airtel, I already had spent around a year and half or so on Airtel and my number was already in the market. Then MNP was here and wow, it seemed then that each and every Indian was going to port his/her number. I tried once, the guy from Vodafone did not turn up and I continued. Now, I have a decent speed, good connectivity, maps AND yes, working youtube. Haha! So you see, it’s not always have been the love of the network, it has been mixture of luck, choice and what worked when. Well, 10 years on a single provider is on the cards if it goes like it’s going!